Is Apple Cider Vinegar Safe in Pregnancy? Dating back as far as 3000 B.C., apple cider vinegar has been used as a preservative, natural health remedy and antiseptic. In recent decades, however, the distillation of apple cider vinegar has given rise to debate over its effectiveness and use. 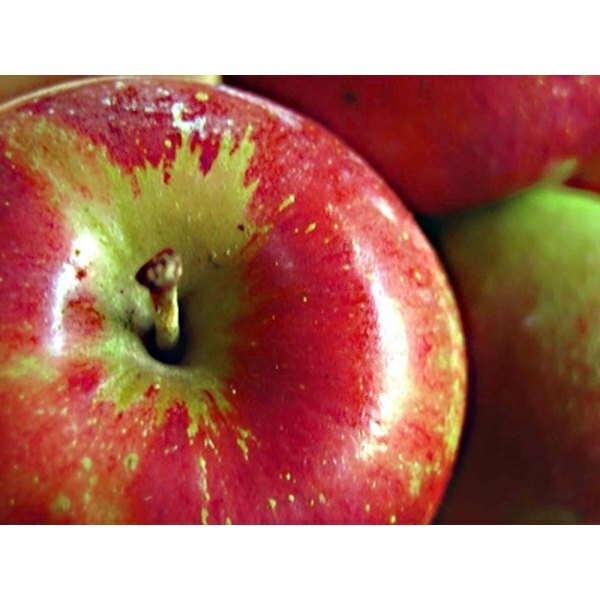 Fermentation of the sugars in crushed organic whole apples by yeast and bacteria produces apple cider vinegar. In the raw, unfiltered form, it contains traces of the "mother" — a gelatinous, stringy substance that naturally forms during the fermentation process and which contains the raw enzymes and good bacteria known to promote good health. SilverMedicine.org states that when unpasteurized its PH level must remain below 4.5 to "prevent the possibility of bacteria growth." Pasteurization exposes a food product to an elevated temperature, destroying certain microorganisms that can cause disease, undesirable fermentation or spoiling. Whether raw or pasteurized, acetic acid remains the primary active element of apple cider vinegar at a minimum concentration of 4 percent for vinegar's safe use as a food preservative and household cleaner. Heinz, a major manufacturer of vinegar, explains that "vinegars are filtered and pasteurized to make them sparkling clear" while admitting that better quality vinegars are "left unfiltered and unpasteurized." Unlike raw organic vinegars containing cloudy "mother," the clear appearance of pasteurized vinegars appeals to consumers. Only raw, unfiltered and unpasteurized apple cider vinegar contains the intact enzymes formed through the fermentation process. These living enzymes are largely responsible for the healing, restorative properties of vinegar. When ingested, it treats acne, acid reflux, cholesterol, constipation and high blood pressure, according to the Disabled World website. Nutritionally more potent than the pasteurized varieties, it is also considerably more expensive. Apple cider vinegar is a natural, non-toxic antimicrobial cleaning agent. The vinegar's acetic acid kills microbes and works to deodorize, cut grease and soap scum, dissolve mineral buildup and inhibit mold and bacteria growth. Further, research has shown vinegar's efficacy increases when combined with other natural and commercial household products such as hydrogen peroxide and bleach. The cheaper, clear distilled version is preferable for use in household cleaning, according to Medical News Today. Based in Portland, Ore., Bonnie Jahangiri has been writing travel-related articles since 2000, with work on appearing on various websites. She writes about healthy living as well as the diverse culture and geography of her native region, the Pacific Northwest. Jahangiri holds a Bachelor of Arts in international studies and German from Portland State University.